Suppliers of luxury quality shower seats that are contemporary in design. 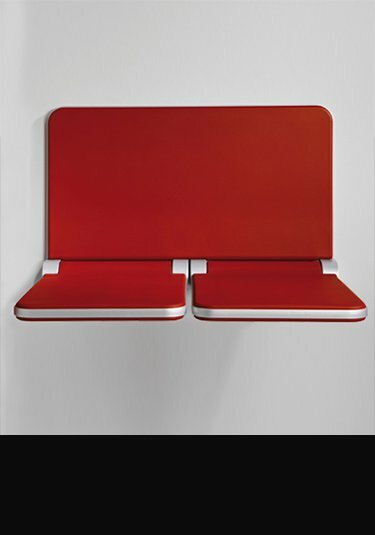 These folding seats are ideal additions to wet room, steam rooms and showers. These stylish folding shower seats are completely waterproof and designed to be contemporary wall mounted therefore are extremely strong seats. All shower seats are German and Italian manufactured ensuring lovely quality and beautiful styling. 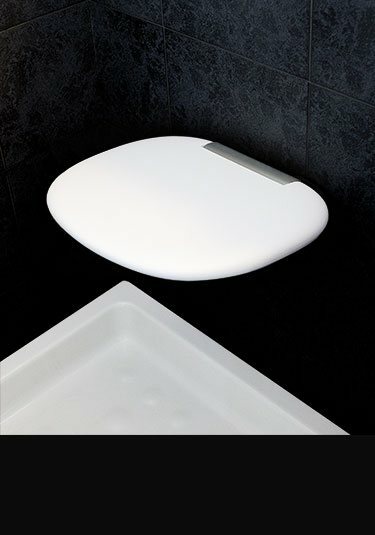 A sleek styled Italian shower seat that is wall mounted. This strong shower seat has a comfortable white seating pad that easily folds away when not in use. Comes with 5 years warranty. This folding shower seat is smaller than the others and folds neatly away close to the wall. Supplied in white this shower seat is very high quality and is made in Germany. 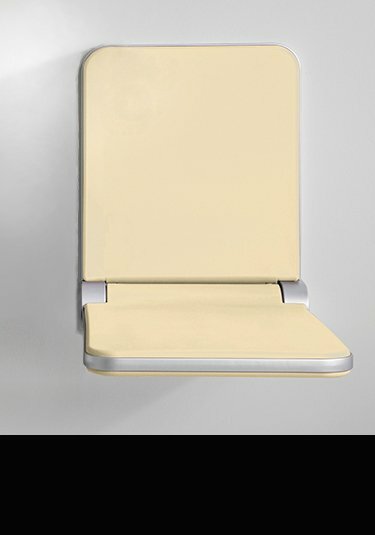 A luxury quality folding seat which is a very stylish addition to any shower. This shower seat is supplied in the colours of black or white with strong chrome on brass wall fittings. This shower seat pad is made of a soft rubberised material that is very comfortable and hygenic. Nice and easy folding mechanism when not in use.